In most divorce and post-divorce cases, the children of divorced parents spend identical amounts of time with each parent; for example, all three children of Joe and Jan Jones spend every other week with each parent. Child support is pretty easy to calculate when this is the case. But what if one of Joe and Jan’s children spends all of her time with Jan and never visits with Joe. This can be a tougher child support calculation. Fortunately, the Second District Court of Appeal leaps to the rescue on this issue, clearly setting out the correct formula for calculating child support under these rather unusual circumstances. In this particular case, the younger of the parties’ two children spent equal amounts of time with both parents while the older child spent time only with the father. The trial court calculated child support for the younger child under section 61.30(11)(b), Fla. Stat. correctly in its initial calculations. The court first applied the gross up method, i.e. multiplying the original basic monthly obligation of $1,762 by 1.5, yielding a new child support monthly obligation of $2,643. The trial court then applied the respective percentages based on the parties’ earnings with the father being responsible for $1,427 (54% of the $2,643), and the mother being responsible for $1,216 (46% of $2,643). All good to this point, but the next step is where the trial court failed to follow the statutory formula. The trial court incorrectly multiplied each parent’s child support total by that parent’s time-sharing percentage of the children. The statute, however, calls for each parent’s child support total to be multiplied by the other parent’s time-sharing percentage. So the father’s $1,427 should have been multiplied by 25 percent (the mother’s time-sharing percentage of both children), while the mother’s $1,216 should have been multiplied by 75 percent (the father’s time-sharing percentage of both children). The mother owed the father $555.75 in monthly child support. 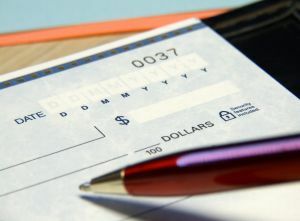 The correct calculation of child support is tremendously important in a divorce or post-judgment case. The welfare and economic security of your children is at stake. It’s important to consult with an experienced family law attorney to ensure that you understand how child support should be calculated, under the particular facts of your case.